You've got moves and you haven't been ashamed to show them off! Be the Movement has been one of the most encouraging and fun campaigns for us to watch as a staff here at Blood:Water. We asked you to show off your "moves" for Africa and the response has been amazing. We have all come to the conclusion that we have some of the most creative and generous friends all around the U.S.! Thanks for all you have done! Be the Movement is about doing something that you are passionate about, talented at, or gifted in and using that talent to raise awareness and funds for Africa. Here are some of my favorite "Be the Movement" pages and ideas that I have come across in the last few weeks. First is Dave Upmress and his HUGE audacious goal of $100,000 over the next three years! 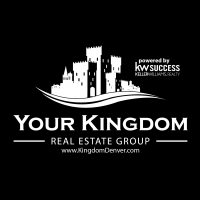 Dave is in the real estate business and gives a portion of each of his sales toward clean water in Africa. Dave is committed to sharing with each of his clients about communities in Africa that need clean water, and that he has made a donation to Blood:Water on their behalf. Dave is a true advocate for our friends in Africa. Next let me tell you about Ivy Godana. Ivy lives in Dallas, but is originally from Marsabit Kenya. Blood:Water has been working in Marsabit since 2009 with our partner FH Kenya. FH Kenya is involved in long-term development in Marsabit including water and sanitation, as well as agriculture and education. They have also also established a partnership with the Anglican Church of Kenya as one of its initiatives to fight against HIV/AIDS in Marsabit. Ivy has seen first hand what HIV can do to a person and what a lack of access to clean water looks like. Ivy is engaging and connecting the local African community in Dallas to help affect change across an ocean. Ivy is a champion for her home town of Marsabit! Now, I couldn't go any further without telling you about my page. 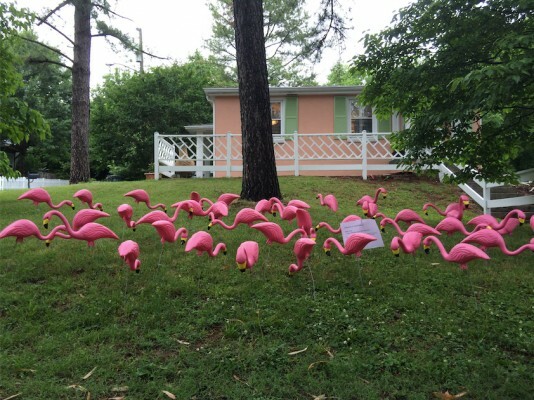 I have a love of pranking, and access to an exorbitant amount of plastic pink flamingos. With those two things combined I decided to raise money by “Flocking” my friends and their friends’ yards. So, I "Flocked" my friends’/family's/bosses'/inlaws’/cranky neighbor's yard for my friends and then picked them up the next day. Nothing says Happy Birthday, Congratulations, Welcome to America, Get well soon, or Have fun at the prom like making someone's yard look like a trailer park, right? I also added a personal note to let them know who "Flocked" them with love. It was easy and it was a blast! So, let me ask you a question. What are you passionate about? Is it baking? Maybe, Instagram, Vine, or Facebook? Is it college football, pranking, or dinner parties? Whatever it is, we dare you to Make your Move for Africa.